The Acorn Integral Frame Mirror is designed for use in all security areas where Mirrors are subject to breakage. 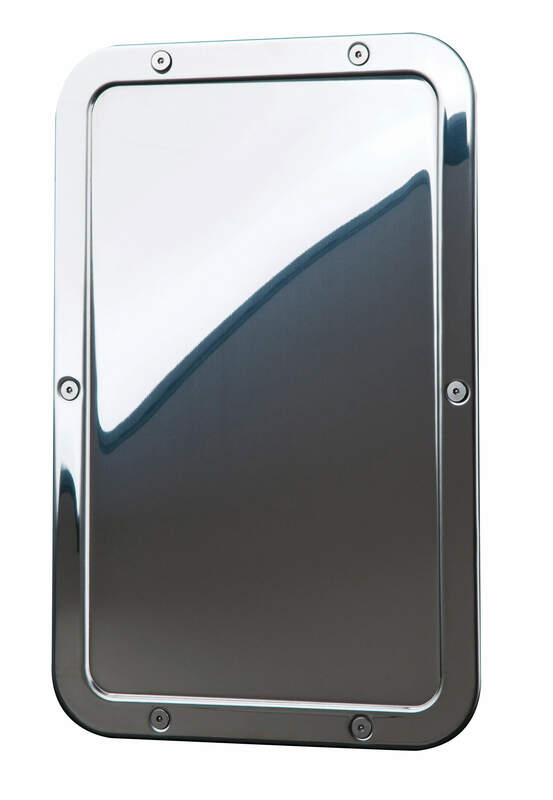 Mirror and integral frame are die formed from a single sheet of type 400 stainless steel polished to a mirror finish. Frame has countersunk holes and is furnished with 1/4”-20 x 1” long tamper-resistant screws.